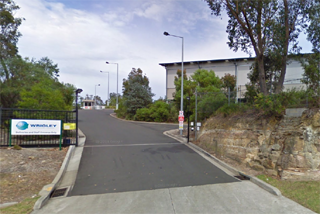 DuctSox Fabric Ducting installed at Wrigleys Manufacturing & Distribution Facility – Asquith, NSW. Wrigley is a recognised leader in confections with a wide range of product offerings including gum, mints, hard and chewy candies, and lollipops. Wrigley’s world-famous brands – including Extra®, Orbit®, Doublemint®, and 5™ chewing gums, as well as confectionery brands Skittles®, Starburst®, Altoids® and Life Savers®. Recently completed using DuctSox Verona Fabric with 1-Row Aluminium U-Track Suspension System. Critical selection criteria included comfort levels; zero risk of condensation; dust settling and hygiene. • DuctSox Comfort-Flow linear L-Vent air distribution orifices were used to achieve high comfort levels. • Verona fabric is a porous fabric (breathable) and will not condensate because of the airflow pattern around the fabric keeps the warm moist air off the fabric walls. This airflow will also avoid any dust settling on the fabric. • DuctSox woven fabrics do not absorb moisture which can be a source for development of bacteria and mould. The hygienic nature of DuctSox provides resistance to fabric deterioration and breakdown extending life and minimising maintenance. • All DuctSox systems are designed to be easily removed and laundered. The installation needed to be aesthetically attractive as Wrigley receive visitors through the manufacturing plant. Using the DuctSox Alu U-Track system allowed the install to look more attractive without having tensioned cable extending past the fabric duct. 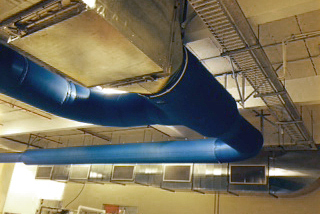 See http://www.ductsox.com/ or http://www.ecohvac.com.au/fabric-duct.htm for more detailed information.